Having an aquarium in your house can add a different level of beauty and at the same time, you can spend your leisure time with all your aqua friends. For fish-keeping enthusiastic people it is very important that they create the best water environment. For years Tetra has been a popular name among the people who have maintained an aquarium in their house. Whether you are experienced aquarium person or just having a new one, there is obviously some solution for you from Tetra. 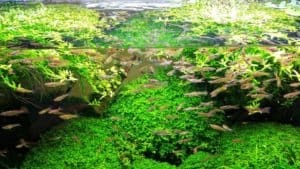 The TetraFauna Viquirium is simply a product which will convert your ordinary aquarium into a totally different environment including both land and wet area. 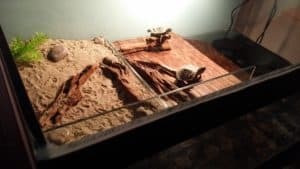 That means, there will be some dry place where your turtle or other reptiles can just relax, just like a scene from a waterfall area. The TetraFauna Viquarium is a combination of both terrarium and aquarium. With this product, your fish tank will have a dry land part and also a water section. This is perfect for different types of animals. Like in the water section you can have your aquatic animals and fish; on the dry land part, you can keep those animals which love to live near water, for example, frogs or turtles. 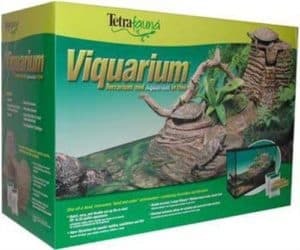 This TetraFauna Viquarium is an interesting product with both water and land environment. In this article, we will give you a detailed review of this TetraFauna Viquarium. So let’s first look out for the main features of this product. 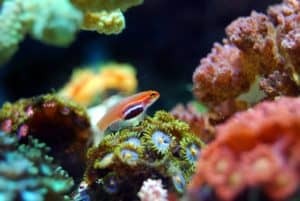 The first and the most important factor about anything which is related to an aquarium is how easy or hard it is to set up. This is the first thing that comes to our mind. Therefore, at first, we will talk about the set-up of this Tetra 25931 TetraFauna Viquarium. Basically, the set-up part is quite easy. You need to do a lot of steps but those are clearly instructed, so you won’t find that much difficulty to set it up. All you need to do to set this Viquarium is, first decide whether you want it on the left or on the right side. Then place the pump chamber on your selected side. Then one by one set the filtration box, riverbed section. You need to set the box very carefully so that it does not shift its position. You can set the dry land area with some coarse gravel, ferns, plants, tree branches, rocks, moss or other decorating pieces. None of these come with the box, you have to purchase these separately. Just decorate the place as your imagination. 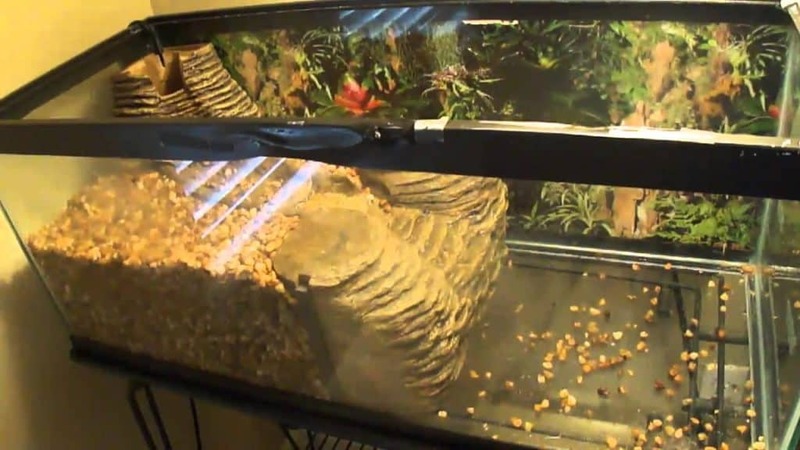 For the water section, the bottom part needs to be covered with a medium layer of gravel. Remember; don’t use the same coarse gravel that you have used for the dry part. Fill up the water section with normal tap water while keeping mind the max and min lines as mentioned. All in all, we can say that the setup of TetraFauna Viquarium is going to be an effortless task for anyone. TetraFauna Viquarium has included 3 stages of Whisper Filtration technology where it uses 2 repo filters of medium cartridges. The filtration system will keep your tank clean for a long time. We all know how disgusted it feels to have an unclean aquarium in your house. Not only it looks bad, but it does a great harm to the living creatures of the aquarium. But cleaning the dirt manually and then take the dump outside is almost impossible to do frequently. Therefore, you need a good filtration system. Luckily, with this Viquarium you are not only giving your aquarium a cool look but it will keep your tank totally clean for several weeks. However, some people have found out that it does not clean that good on the corners of the tank. For this, you may need to buy another separate sponge filter. 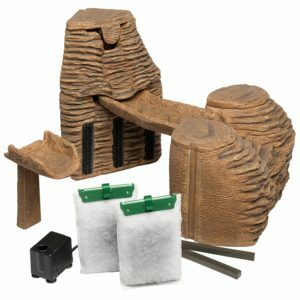 Whether you have a 20-gallon aquarium or a 55-gallon one, this product claimed that it can be fitted to any of these. From our test, we have found out that the TetraFauna Viquarium does not fit perfectly for a 55-gallon aquarium, but does fit perfectly in a 50-gallon tank. Therefore, we think this is a great product for 20-50 Gallon aquarium. The TetraFauna Viquarium comes with a 2 years warranty period, which we think really great. If you find any kind of defect in the product Tetra will replace it with free of cost. The customer service is also good. However, to avail the service you have to show proof of purchase. How deep can the water be? There are specific lines mentioned, which will let you know how deep you can have. How is large gravel required for it? It depends on the size of your tank. The basic rule is for every 1 gallon of water you need 1 pound of gravel. 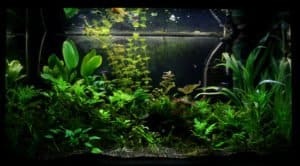 To sum up the TetraFauna Viquarium Review, we just want to say that this is a great product which can enhance the beauty of your aquarium a lot. You can have a diverse group of animals in your tank and it creates the perfect environment for all kind of aquatic reptiles, fishes and mainly for those species who love to stay both in dry and water area. The product itself has maintained a great quality with a very easy installation system. The only thing to complain about the Tetra 25931 TetraFauna Viquarium will be its filtration system. We think it needs a little improvement, especially for bigger tanks. 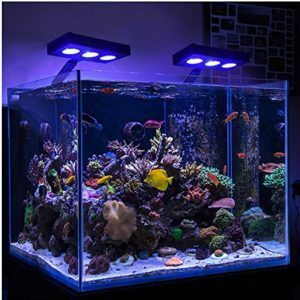 People have loved to use it to their aquarium and we think you will love it too. Therefore, this TetraFauna Viqurium is highly recommended from us.